ClickIT Smart Technologies is an AWS Consulting partner company from mexico, with expertise in migrating your apps to AWS and Google Cloud and implementing DevOps practices across your infrastructure. ClickIT Tech is a certified Consulting Partner with AWS. ClickIT has opened up its strategic sales office in Chicago with presence of Michael Machado, who’s joined ClickIT as VP of Business Development on US Soil and brings years of experience and credit of landing great partnerships for companies he’s worked with in the past. ClickIT Tech is offering AWS Cloud Consulting, AWS Migration, DevOps Consulting, Development, and Marketing Cloud Solutions in Chicago. In addition to making cutting edge tech practices available to companies, ClickIT Tech brings a spectrum of services aimed at improving the existing cloud infrastructure of companies who have already adopted cloud but have not been able to leverage the benefits. Having partnered with 100+ fintech, healthcare and digital solution companies in the US, ClicktIT understands the challenges faced by these companies in terms of finding and retaining the best talent at the optimum cost and budget. “We are a prepared company ready to offer a closer solution to our clients in the US” – Alfonso Valdés, CEO of ClickIT. 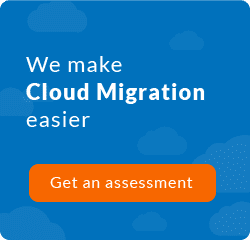 ClickIT, with more than 7 years of experience, has worked with more 500 customers in the States and migrated more than 1000 apps to the cloud.